Southland track sprinter Matt Archibald will make his World Cup debut early in the new year. Less than four years after he attended his first national cycling championships, the former rower will head to Beijing in January to try to push his claims for a place in the New Zealand team for the London Olympics. 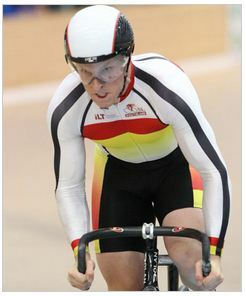 New Zealand cycling appears to be "on track" looking ahead to the 2012 Olympics. Southlanders Eddie Dawkins and Stephanie McKenzie feature as finalists for the prestigious BikeNZ Road and Track Rider of the Year Awards announced today. The H & J Outdoor World Cycling Team’s season got off to a slow start following the Christchurch earthquake but it proved to still be an action-packed year! A reminder that sessions will be up and running as usual from Monday 9 January, excluding the New Year Carnival on Friday 13th. Meanwhile, a number open sessions and Velodrome riding opportunities have been co-ordinated by Matt and a trusty team of assistants. We left Invers on a dull and overcast day and headed to a picture perfect day in Queenstown on Sunday 18 December. Friday night 16 December saw our final evening of Junior Racing for 2011 and we finished off the year with a brilliant display night of racing - a whole crew of our Wheelers and Flyers coming along to show off all the skills and race tactics they have been learning over the year. It was exceptional stuff!!! 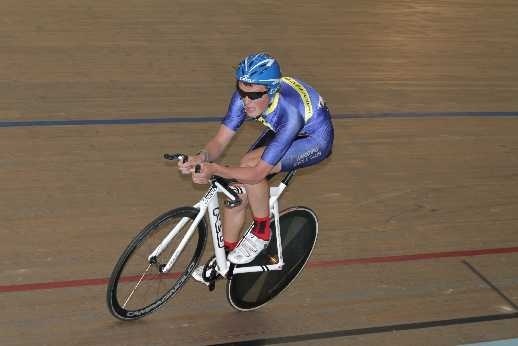 Cycling Southland's selectors have named its Elite and Age Group training squads to prepare for the upcoming 2012 National Track Championships. On March 13 this year, Liam Aitcheson (16), of Alexandra, was riding in Tarras with the Central Otago Wakatipu Cycling Club when he, and four other riders, fell. He sustained a serious brain injury, from which he is still recovering, but this has not stopped him recently winning a national cycling title and being accepted into an Otago sports academy. There is a plethora of great racing opportunities in the New Year ... and the chance to win some great cash prizes! Cycling Southland handed out 58 sets of medals over the weekend at its 2012 Southland Track Championship. 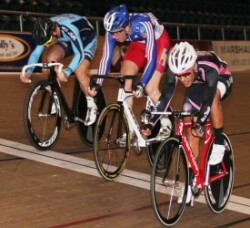 With the National Elite and Age Group Championships on the horizon in early 2012, this weekend provided the opportunity for riders from Under 13 to Masters grades to push their cases for selection and claim championship honours in the process. The New Zealand cycling sprint team crashed out during qualifying at the UCI World Cup in Cali today.